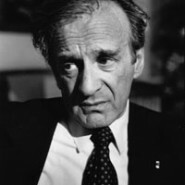 In 1965, when Holocaust activist and Nobel-prize winner Elie Wiesel was still a 37-year-old bachelor, the Lubavitcher Rebbe wrote Wiesel a letter imploring him to get married and have a child–the most powerful possible response, the Rebbe insisted, to Hitler’s Final Solution. “I will permit myself to say in the strongest possible terms that despite how important it is to relate what happened [in the Shoah] to the present generation, and notwithstanding how hard it is to free ourselves of those memories and experiences, in my view our most important mission is to fulfill “Al korchach atah chai,” [you must live] with the emphasis on “atah chai” [you live]–that the liveliness should be apparent. “In other words, you must make every effort to tear yourself away from your memories and adopt a lifestyle with a stable structure–married life– and establish a Jewish home and a Jewish family. “This will certainly bring about Hitler’s true downfall–that he was not successful in his attempts at making it that there be one less Vizhnitzer Chassid in the world [CJW: Wiesel grew up in a family of Vizhnitzer Chassidim]. On the contrary, you will raise children and grandchildren who are Vizhnitzer chassidim until the end of time. “I don’t mean this as a witticism, even if I am not being precise with my words; I mean a Vizhnitzher or a Lubavitcher chassid or anyone who keeps Torah and mitzvos in general. However it turns out, that way will surely be good. My main point is that just as you survived more difficult things in your life and made it to America, so too, if you truly want it, you will attain this as well, and Hashem will grant you success. In the end, apparently, it was worth it. 4 years after he received this letter, Wiesel married his wife of 46 years, Marion. They had one son, Shlomo Elisha Wiesel, named after Wiesel’s father who was murdered, al Kiddush Hashem, by the Nazis in Buchenwald. I wonder if he was consciously influenced by the letter …… Very powerful words yet so humble and non-confrontational, th gentle way the rebbe makes his suggestion. Not something we find much today with the sad proliferation of celebrity ultra-orthodox rabbis….